Ioannideia 2018 ended with the last leg of the Sailing Event, the offshore race Cyprus – Israel that had its finishing line in Tel Aviv, Israel. The biggest event ever organized on the island, and perhaps the largest international event, since it included five continues official international events. Ioannideia 2018 began on August 19th, 2018 with the Optimist Mediterranean Championships (for boys under 15) which ended on August 25th, followed two days later, on August 27th, with the World Championship of the same category which ended on September 6th, 2018. During the World Championship, the General Assembly of the Class World Federation took also place with the participation of 75 country representatives. At the end of the Optimist class competition, and specifically on September 8th, 2018, the series took on the ORC European Championship (large sailing boats) and the ORC Challenge Trophy Mare Nostrum of E. Mediterranean. The European trophies have deserved worthy teams from all over Europe. The focus of these events was transferred from the facilities of the Famagusta Nautical Club to Limassol Marina, a long-time partner of the Club and the organization of Ioannideia. With the completion of the two Championship sending on September 15th, 2018, the series took the final leg and the Cyprus – Israel offshore race, starting at Limassol Marina, on September 16th and finishing at Herzliya Marina in Tel Aviv, where the first vessels finished on September 17th. The official end of the race will take place on September 20th, 2018, under the auspices of Tel Aviv City authorities and the Israel Yacht Club. Following the competitive international success of Pavlos Kontidis, the Famagusta Nautical Club placed Cyprus on the sailing map again, as a paradise for sailing events with excellent weather conditions and organization, in what seems to be perhaps the biggest continues sailing event organized internationally. At this point the Famagusta Nautical Club and the organizers of Ioannideia express their respect and warm thanks to the dozens of volunteers and people who contributed to the huge success of the organization, as well as to the official Partners and Sponsors of Limassol Marina, Cyprus Tourism Organization, RIK, Cyprus Sports Authority, Municipalities of Limassol and Yermasoyeia, Cyprus Youth Organization, CYTA and the companies ReMax, Bunkernet, CTC, TopPro, IronFX, Interyachting, PHC & PizzaHut, NorthSails and Israel Yacht Club. Since June of 2016, where the applications for the organization of these events had been submitted and today, at the end of the event, all the involved parties have tried their best to promote the sport of sailing and the country, in general. 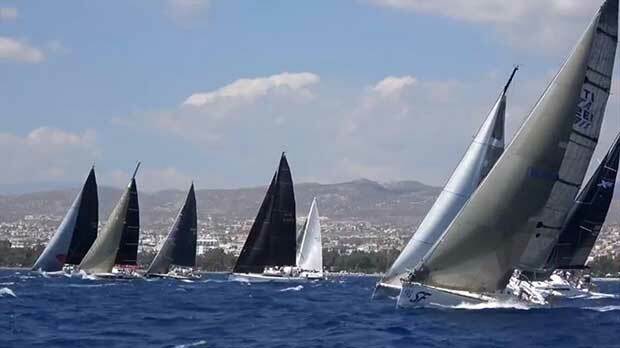 The ideal weather conditions, as well as the excellent know-how and organizing skills of the organizers, allowed the Famagusta Nautical Club, the organizers of Ioannideia and Cyprus to successfully pass into the pages of sailing history.